At school, I am reading a book about camels, so today I want to write about dromedaries. Also known as the Arabian camel, these beautiful animals grow up to 2 metres tall at the shoulder and can weigh up to 600 kg. Males are usually larger than females. Their hump can grow up to 20 cm tall is made up of fat to help them survive during harsh conditions. Dromedaries are well suited to living in dry conditions, with two sets of eyelashes and nostrils that can close to protect them during sand storms. Their padded feet help them to walk on loose sand and they also have special kidneys so that they only have to drink water every couple of weeks. They can walk for over 100 miles in the desert without drinking. They live in small herds of about 20 animals, led by a dominant male and travel around eating leaves, grass and thorny plants. Dromedaries are found in the deserts of northern Africa and southwestern Asia. They were also introduced to Australia by people from Afghanistan and other countries to help explore the outback and transport goods. The numbers of feral dromedaries in Australia is now very high. 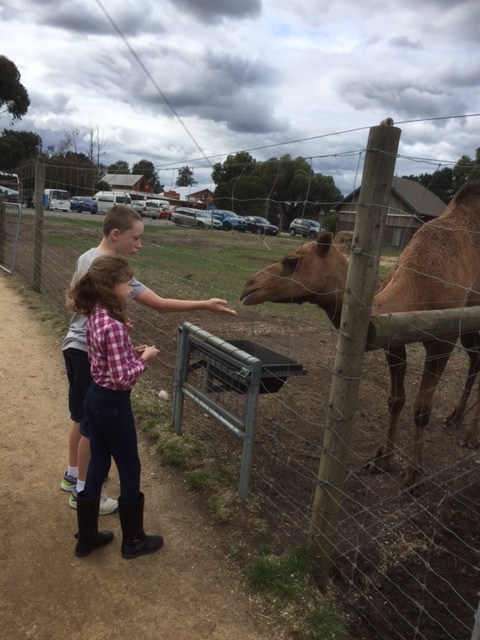 Are there any other interesting facts that you would like to share about dromedaries?